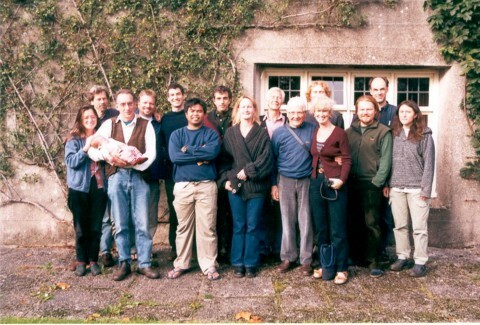 In 2001–2002 I was a student on the MSc in Holistic Science at Schumacher College. Prof. Brian Goodwin and Dr. Stephan Harding had set up this innovative programme three years earlier. 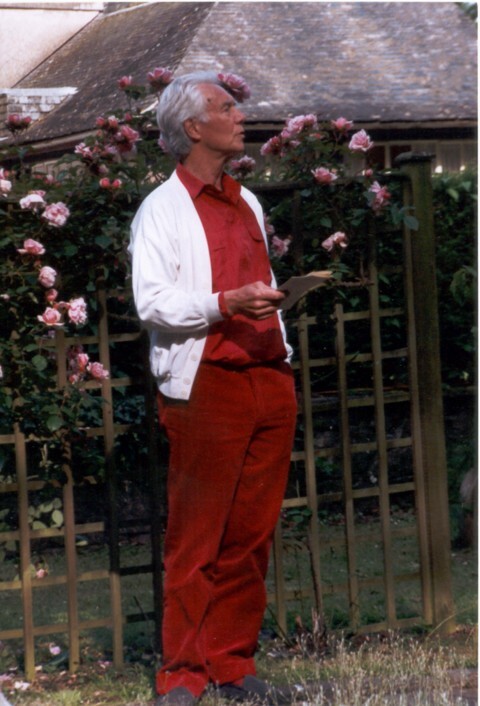 In this 2007 interview with Brian recorded at Schumacher College we explore some of the key insights from this course and their relevance to the transition ahead. I cannot emphasize enough how deeply important meeting Brian and learning from him has been for my own life and work. Daniel C. Wahl: Could you explain what you mean by ‘A Science of Qualities’? Brian Goodwin: The Science of Qualities is really an extension of conventional science in the sense that it depends upon consensus, agreement and a methodology whereby people come to recognize the agreement or the consensus they have about the qualities of experience of other beings. These other beings could be animals, landscapes or organizations — a room, a building, whatever it may be. Of course we live our lives in terms of qualities, more than quantities. Quantities have become important, but it’s the qualities that really give the texture and the qualities to our lives and our relationships. In a sense, relationships have become primary in the new science of networks and we have to recover this whole area of qualities. There are systematic ways now of demonstrating that people reach consensus very effectively about the qualities of experience of farm animals, about the quality that is expressed in a landscape, the quality of a river and so on. These are things that people have always done spontaneously. It is common sense, and it has been excluded from modern science. Now we need to bring it back in as an extension of the science of quantities. Daniel C. Wahl: To what extend did the work of Johann Wolfgang von Goethe play into the development of this Science of Qualities in it’s early stages? Brian Goodwin: Well of course Goethe is such a wonderful example of a holistic scientist, and it’s more than science. Goethe obviously was a holistic human, in the sense that he was doing art and science and he was using the approach of [what we now call] phenomenology to observe the qualities of beings as well as their quantities. He put the two together. The systematic way of exploring the natural world — and when I say ‘natural world’ I mean everything! I am not distinguishing between nature and culture — so that is the unification that is being achieved. Goethe offers a wonderful example of how you can do that systematically and integrate all the different ways of knowing: the intuitive, the sensory, the feeling and the analytical (the thinking). If you put all of them together you have got an integrated way of knowing the world and acting in it consensually. Daniel C. Wahl: How did the idea of setting up a Masters in Holistic Science come about and can you tell a little bit about the story of how you actually set it up? Brian Goodwin: Ever since my experiences at the University of Sussex in the 60s and 70s when you had that kind of period of ‘enlightenment’ — I mean the 60s phenomena was remarkable and at Sussex it was really well developed — and it gave me a sense that we need to some extent abolish the boundaries between all the subjects but not lose any of the rigour. Now that sounds contradictory, but you can be very rigorous in your thinking and your analysis, while at the same time encompassing all the range of these different ways of knowing. Now that is a bit of a challenge and to some extent I did not know what the solution was and I still don’t, but I was exploring that at the University of Sussex and then at the Open University — but there are boundaries to academic permission and so when I came to Schumacher College in 1996 I was really rather astonished that it was possible to explore this territory of holistic science systematically — grounded it in Chaos, Complexity and Gaia Theory, incorporating all these different components. And of course with Stephan Harding, together, we constructed this programme that was accepted by Plymouth [University]. The bits that have been not adequately developed and are still being developed are the areas of experiential learning and practical engagement with the land and with buildings — the implementation of holistic science in holistic living. That’s where the masters has been going for the last five years and now there is a need for a real push in that direction. Daniel C. Wahl: When you say holistic living, that links very strongly with the current climate change response and the need for living more sustainably. Would you say that permaculture and the ecovillage movement are part of a more holistic way of living? How do you see these grass-roots movements contribute? Brian Goodwin: It is absolutely essential. What we are now doing at the College is turning what we call ‘lawn culture’ — the monoculture of lawns — into permaculture and agroforestry, following Martin Crawford’s inspiration and Bill Mollison’s and others’ — this whole vision of having something beautiful, natural, productive, low-maintenance. 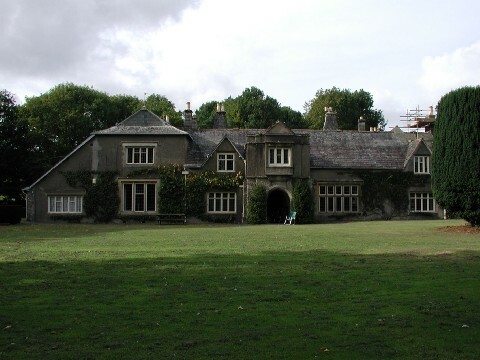 That is the direction in which the College is moving and we would like to see the whole [Dartington] estate move in that direction. And, of course with Transition Town Totnes we want to have a cooperative process of putting into operation a sustainable, holistic community and have an example down here in the South-West of how this is going to be achieved. That is beginning to move in a direction that is really exciting. We know the direction in which we are going, but we don’t know what the outcome is going to be. Nobody does and we don’t know how long it is going to take. But we know what we have to do and we are — sort of — getting on with it. Daniel C. Wahl: This whole idea of steering into the future without necessarily knowing where you are going seems to be somehow informed by the insights you gained from your long engagement with complexity theory. Could you say a little bit about the lessons of complexity theory and your experiences at the Santa Fe Institute contributed? Brian Goodwin: Well, complexity theory to a sense opened a scientific window on this way of knowing the world. It essentially said, look we cannot predict what happens in complex systems. They are too rich a set of interactions, so what we have to do is work with complex systems, feel them — use our intuition and our feelings — to get a sense of how things are moving and to move them in the right direction. This has to been done consensually in the group, but at the same time this connects with Goethe’s approach, which is the quantities-qualities and the artistic as well as the scientific analytical. So it’s art, science, craft, technology, business, commerce, everything is now joined together. And, these new communities, ecovillages or whatever you want to call them, these new communities for holistic living are embodying these integrated principles. Complexity was the route we used to convince the University of Plymouth [that validated the Masters in Holistic Science at Schumacher College academically] that this was a legitimate and valid — scientifically well grounded — way of proceeding, but it has gone far beyond that and in some sense — common sense — validates this way of proceeding, but backed up, again, by rigorous observation. 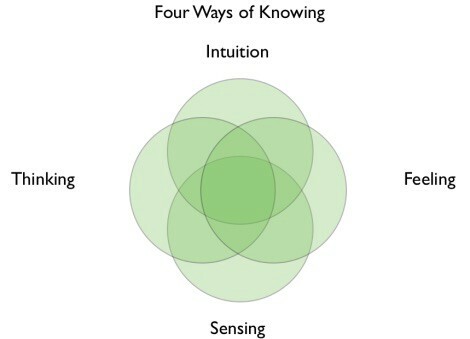 We are doing research in this area and things are moving in a way that — I think — combine the elements of intuition, feeling, sensing, thinking. The Jungian mandala is becoming a unity in these holistic patterns of living — life styles. Daniel C. Wahl: From my experience of doing the Masters, one of the big lessons that came out of chaos theory and complexity theory was the switch from a mindset of prediction and control to one of participation and the realization that the complex system in which we are taking part is fundamentally unpredictable and uncontrollable. Could you elaborate on that? Brian Goodwin: Yes, that is the whole idea of living on the edge of Chaos, or experiencing the world coming into being. Goethe, or based on him, Henri Bortoft developed this a lot — this understanding that everything is always coming into being and we need to experience the world as process. Now given that this is fundamental, we cannot predict what the outcome is going to be, but we can feel the direction in which this is moving. It is that sense of engagement and participation, and a deep involvement in the present — not concerned about the future — but actually being very present to all the elements that are working now. That is the process of […] living in the eternal present because we cannot predict the future, and so the more present you are, the better will be your antennae for working out what the right direction is. So it’s the journey. It’s not the goal. This is perennial wisdom, it’s classic, it is in Buddhism, in Christianity — if you look at the fundamentals of it — it is in any religion. It is in indigenous cultures. This is perennial wisdom. This is what we are getting back to, or getting on to, or embodying that together with all the technology, and the know-how and the analytical knowledge that we have at our disposal. Daniel C. Wahl: Thank you so much! This is the 2007 interview of which the above is an edited transcript.